Open mic nights provide the perfect opportunity for advanced music students to gain performance skills and break into Toronto’s music scene. The Danforth is home to dozens of venues that support local musicians. The five venues below offer frequent open mic nights for indie talent and are all within walking distance of Elite Music Academy. 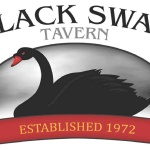 The Black Swan Tavern is a long-time staple on The Danforth, well known for great service and some of the most affordable drinks in the neighbourhood. Located a short ways from Elite Music Academy near Broadview Station, The Black Swan Tavern boasts two stages with unexpectedly great acoustics, excellent lighting, and comfortable seating. They have a long history of supporting local artists, which is apparent at their popular acoustic Mondays hosted by Sebastian Agnello, which kicks off around 9PM until 2AM. On Tuesdays, there’s an open jam session where you can play with Peter Verity starting at 9:30pm. Then on Wednesdays, Nicola Vaughan hosts another open mic session around 9PM. The tavern welcomes all performers and have played gracious hosts to a number of Elite Music Academy’s Rock Band shows and Toronto Music Camp concerts over the years. If you want a down-to-earth atmosphere and a taste of a great stage, The Black Swan Tavern is a must on your list of open mic spots. Right across the street from Black Swan Tavern is The Old Nick, a constant source of Toronto Indie music talent. Their Tuesday open mic night runs from 8-11 PM and is a laid back, fun atmosphere – the perfect setting for those just getting their performance legs under them. 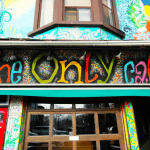 Students of Elite Music Academy and Toronto Music Camp have played at this venue on several occasions, taking advantage of their great stage and welcoming crowds. As musicians progress, they might find themselves in The Old Nick’s Monday Indie Music Showcase or any of the other special events dedicated to Toronto’s best musicians. 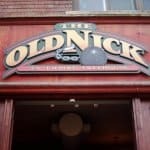 If you are looking for a place on the Danforth to get discovered by the indie music scene, The Old Nick might be your best bet. A quick walk from Elite Music Academy, The Only Cafe is one of the best places around Greek Town to get a good beer. With 25 local craft brews on tap, the only thing that tops the ale is the music. This neighbourhood watering hole is the kind of place where you bump into friends and neighbours. It is friendly and welcoming, making it a good spot for first-timers looking to grab the open mic. The Only Cafe’s Acoustic Jam sessions, “Jamick,” are on the first Wednesdays of the month and start at 8 PM. This authentic Irish Pub is on the very west end of The Danforth, just shy of Greek Town. Still, it is hands-down the best place in Toronto to grab a Guinness, particularly if you like it with a side of authentic Irish crisps and the harmonies of hurdy-gurdy and Irish fiddle. 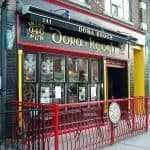 Dora Keogh is known all over Toronto as the best place to hear live Irish music. Lesser known to the general public, they host an open stage on Mondays to give aspiring musicians of all walks a chance to perform to a live audience filled with eager ears in a warm, cozy atmosphere. Who doesn’t like the idea of stirring things up a bit? 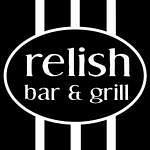 Relish Bar & Grill does just that with Stir it up Sundays, their open mic night runs from 9:30 PM to 2:00 AM, and features a variety of local music acts. For the more established or bold musicians, Relish Bar & Grill has a sign-up form on their home page where you can request to perform outside of their open mic night. If you’re looking for a place that is very welcoming to try all kinds of local bands and music acts, head down the Danforth just east of Woodbine.